11:00 a.m. Judging, All hoods and trunk lids down, doors closed to be judged. Entry Fee is $20. First 50 signed up by May 10 receive goodie bags with a free lunch, a $10 Colby Ridge coupon, and much more. Entry Form is available below or at the Sowers Office, 1701 S. 17th Street, Suite 1H, M-F 9-12, 1-4. For information on group-club parking or other show related questions, leave a contact number for Stan at 402-438-2244. Pre-registration ends May 10. You may register on Sunday, May 19, 2019 at Gateway Mall, Show Site, between the hours of 8 a.m. - 11 a.m. Show 11 a.m. - 4 p.m. Awards at 3 p.m.
All Entries must have hoods down and trunk lids closed to be judged, doors may be open. Convertibles may have tops up or down. Hoods may be raised at 3 p.m.
STOCK: No modifications, paint colors and schemes must be like stock, tire & wheel modifications expected. N - Mustangs - 2005 - Current (Driven at least 5000 mi a year) M2 - All others i.e.Honda Suzuki etc. Q - Corvettes - 1997 - 2013 All information below must be filled out for trophy mailing. 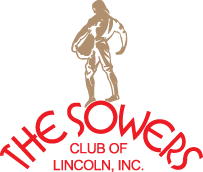 By your signature here, the applicant and guests of said signer do hereby hold harmless the Sowers Club of Lincoln, Inc., The Sowers Club of Nebraska Foundation, any members of said groups, any participating sponsors, or employees of such groups, from any liability for damage to applicant's property or injury while participating in this event.